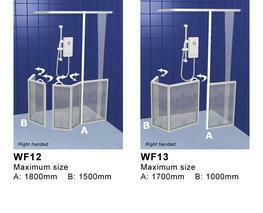 A fixed panel will allow for close siting of a WC or wash hand basin. *Does not include deliveries to Ireland or events beyond our control. 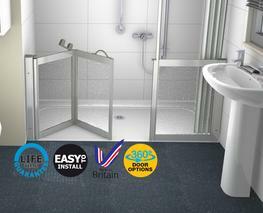 Optional NEW 360 hinge system available to enable doors to fold into the shower area. 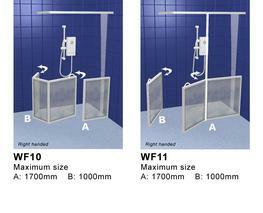 Easy access, half height shower doors finished in a white powder coating as standard. 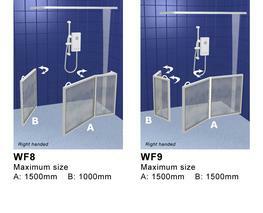 Fixed panel can be made to any practical size. 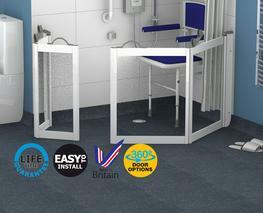 Manufactured and despatched within 24 to 48 hours*. 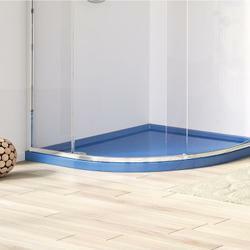 Glazed with either high impact decorative PET, unbreakable polypropylene or toughened glass. 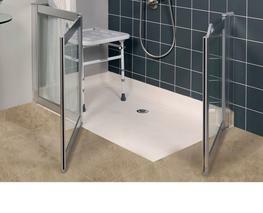 Half height shower doors can be retro-fitted in a wetroom or onto any easy access or level access shower tray with a 40mm flat perimeter. 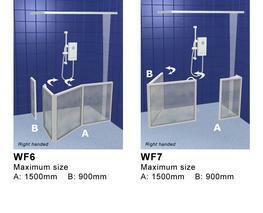 Shower doors have a compensator for adjustment, up to 15mm, to allow for out of square walls. 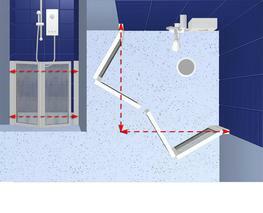 Rise and fall hinges for effortless door opening, doors remain open when in the open position. Supplied with a curtain rail and 4oz white, satin striped, weighted polyester shower curtain. 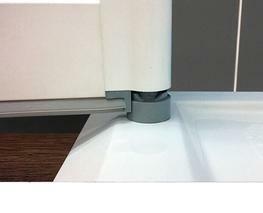 Magnetic door closing. 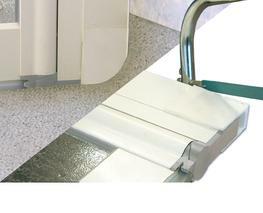 Where practical, handles are supplied for ease of opening. 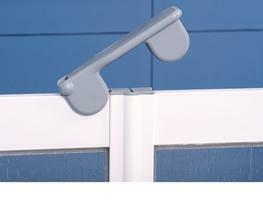 Coloured handles, latches and curtain rail support poles available, at no extra cost, to assist the visually impaired. 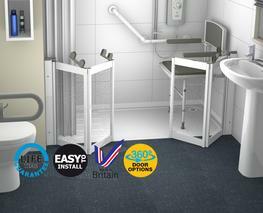 Half height shower doors are manufactured at 750mm, a preferred height for carers. Other heights available on request. High integrity door and glazing seals. 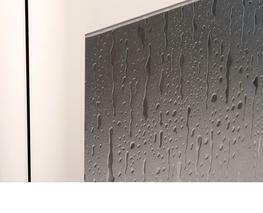 Luxe Range doors are an alternative to the standard white door range. 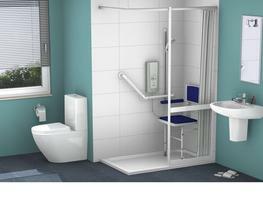 Polished silver satin finish will compliment any modern easy access bathroom. 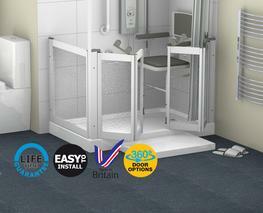 We do not approve the use of power showers with special needs shower doors or shower trays. Please note that these product properties are not a replacement for the manufacturer's literature and it is always recommended that Contour Showers Ltd is consulted before specifying.